Intense pressure from governors and politicians from North Central geopolitical zone may have forced the ruling All Progressives Congress, APC, to a retreat over the adoption of Femi Gbajabiamila as the Speaker of the incoming 9th House of Representatives. Vanguard learned that governors of the zone have resolved to throw their weight behind another lawmaker from the zone to emerge as speaker. The zone is alleging marginalisation in the government of President Muhammadu Buhari, saying no visible position had been given to them. To this end, three lawmakers from the zone are in the race to succeed Speaker Yakubu Dogara. They are Mohammed Bago from Niger State, Idris Wase, the current Deputy Majority Leader from Plateau State and John Dyegh from Benue State who is likely to formerly declare his interest today at the National Assembly. At the moment, Bago’s candidacy is gathering momentum as his state government, Niger, has vowed to mobilise other governors from the zone and beyond to support him. Meanwhile, Gbajabiamila who represents Surulere II federal constituency of Lagos State is also a front line aspirant for the office. Reports of his adoption by APC and national leader of the party, Asiwaju Bola Tinubu, had been making the rounds, giving the lawmaker an edge over 16 other names who had also indicated interest in the position. But it was gathered, yesterday, that Gbajabilamila’s camp became seemingly distraught and deterred by the party’s latest position on Monday. Reports credited to an aide of the national chairman of APC, Adams Oshiomhole, had on Monday filtered in that the party had adopted Gbajabilamila as its preferred candidate for the office. But reacting to the report, National Publicity Secretary of the party, Malam Lanre Issa-Onilu said the information was false. He said the party was yet to take a final decision on zoning of leadership offices of the House to the geopolitical zones. Checks, yesterday, indicated an uneasy calm in the lawmaker’s camp. 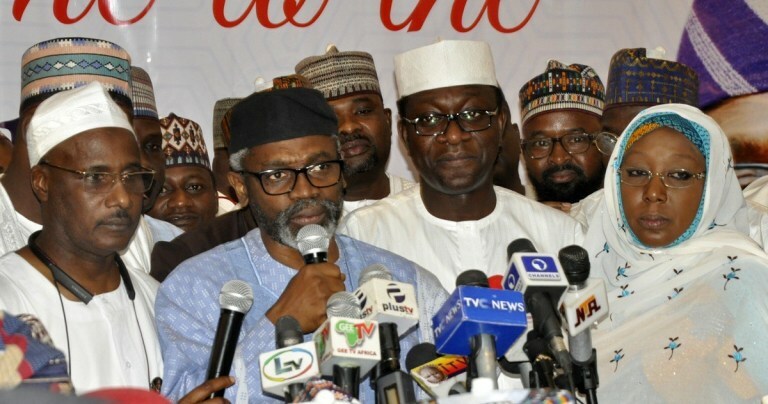 Sources said that APC may be forced to ignore the South-West and zone the speakership to North Central geopolitical zone in the interest of the equity and social justice. When contacted, the media aide to Gbajabilamila, Olanrewaju Wasiu admitted that indeed the party has not officially zone the speakership to South-West or adopted his boss. Efforts made to reach the campaign Director-General of the Gbajabilamila Campaign Organisation, Abdulmumuni Jubril for further comments were not successful as he neither answered his call nor replied the text message sent to his phone.